Craving for a relaxing beach therapy? Sand Pebbles’ Odisha Beach Tours is your best answer. Odisha is one of the luckiest states to have over 485 kilometres of breathtaking coastline. It’s blessed with the gorgeous clear blue water, complemented by some of the cleanest and most pure sand the world has to offer. Sand Pebbles offer the best package for Odisha Beach Tours. It’s the perfect location to unwind while taking in the picturesque sunsets. With a large number of ever-growing airports, the beaches of Odisha are becoming more and more accessible, creating a seamless path for you to take your dream trip. Odisha is a great year-round destination, with gorgeous weather in all seasons. Not only that, the vast expansive coastline means that beach resorts in Odisha vary greatly depending on location. Odisha beaches range from promoting exotic biodiversity to world-class architecture, fine dining to relaxing tranquillity, making it the perfect destination for tourists from all walks of life seeking the vacation of a lifetime. 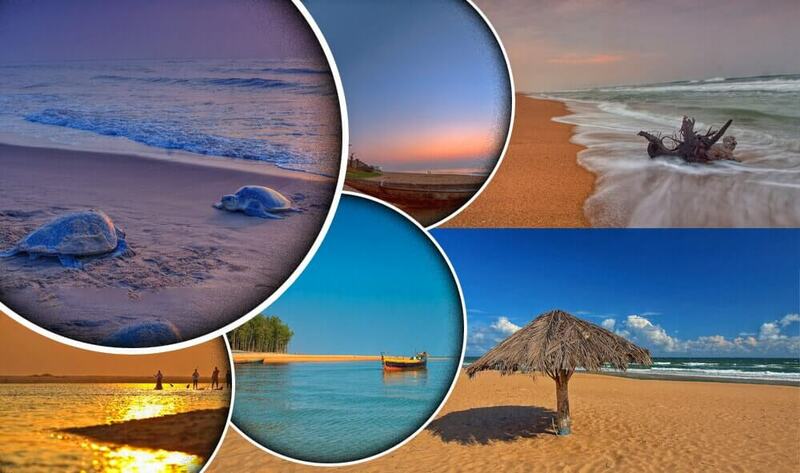 Odisha Beach Tours covers it all. There’s no better way to experience the pleasures of these exquisite shorelines than with Sand Pebbles’ package of Odisha beach Tours. These packages offer a look at some of the most stunning sites Odisha has to offer, while also taking you off the beaten path. Your knowledgeable guides lead you on incredible tours that include enjoying delicious and authentic cuisine spanning across the state. There’s nothing quite like digging your toes into the sand and drenching in the glorious tropical Asian sunshine. All your stress and worries will wash away in the opaque blue water, leaving you in a relaxed state of tranquillity you didn’t know possible. If you’re ready to experience the endless beauty of these exquisitely bountiful shorelines, please contact us today and let us help you find the perfect Odisha beach tour for you. We offer you the best Beach Tour Operators in Odisha, including Beach Resorts in Odisha, so that you can have a gala of time with Sand Pebbles’ Odisha Beach Tourism. Meet and greet on arrival at Kolkata Airport/Railway Station and transfer to pre-booked hotel. Rest of the day free for own activities. Overnight at Kolkata. After breakfast half day visit to Kolkata and afternoon drop at the railway station to board the train to Balasore. Pick up from Balasore railway station and transfer to Chandipur. Check in at a hotel. Overnight at Chandipur. Full day relax on Chandipur Beach. Overnight at Chandipur. Morning visit of Temples at Bhubaneswar (Parsurameswar, Mukteswar, Lingaraj, Rajarani & Vaital). Then drive to Konark visiting en-route Dhauli (Ashokan Edicts) & Pipli (Appliqué Work village). Evening boating near the river connecting the sea and relax on the beach. Overnight at Konark. After breakfast visit to Konark Sun Temple (Black Pagoda), Chandrabhaga Beach and Ramchandi Temple.Then drive to Puri check in to hotel. Late afternoon visit to Lord Jagannath Temple to participate in the Live Aalati Darshan. Evening relaxes on the Golden Beach & Beach Market of Puri. Overnight at Puri. Morning visit to Lord Jagannath temple (Non-Hindus are not allowed inside the temple), Grand Road After breakfast drive to Gopalpur visiting Raghurajpur (Heritage village) and Chilika Lake at Barkul. Enjoy boat cruising inside the lake to view Kalijai Island & Nalaban Birds Island.Overnight at Gopalpur. After breakfast visit to Taptapani Hot Sulphur Spring. Afternoon relaxes on Gopalpur Beach. Overnight at Gopalpur. After breakfast drive to Berhampur Railway Station/ Bhubaneswar Airport for onward journey.